We are excited to announce the publication of our sixth and seventh books in the Advanced Aquarist library: The 2006 Edition and the 2010 Edition: January through June! Both books are 100% color measuring 8″ x 10″. Make sure to log into our commenting system using your Facebook, Twitter, OpenID, email, etc, with your real identity so that we can contact you if you’ve won. That’s it! Only one entry per person please. 🙂 We will run this promotion until the August 10th and then we will randomly select someone from the list of people that commented. We will then announce the winner in the August 2010 issue. Start commenting! In order to get the discount, purchases will need to be made through our CreateSpace storefronts. See below for information on discount codes for each book and how to purchase them through CreateSpace. 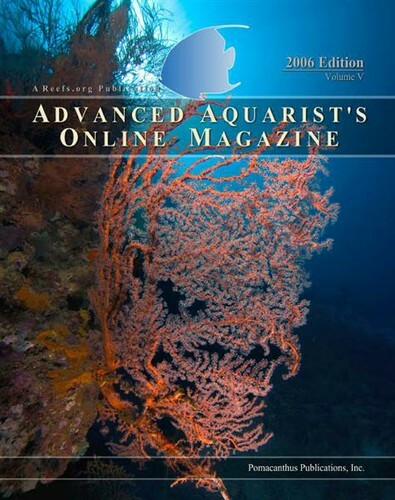 Purchasing the books also helps support Advanced Aquarist so that we can continue to bring you more authoritative articles about the animals we keep in our aquariums. 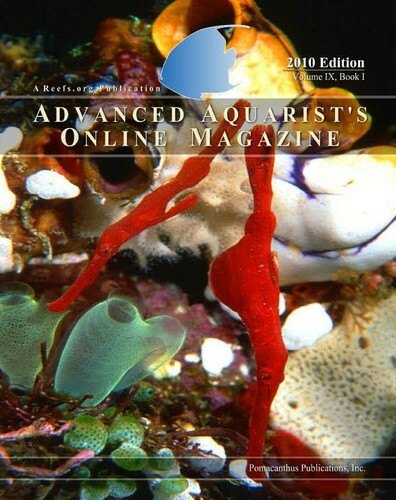 It’s also a great way to read Advanced Aquarist at your leisure and also to archive articles for future reference. Also, if you haven’t already done so, please consider ordering our other books as well. We now have all of our our articles back to 2006 in print and they can be purchased either from Amazon.com (US only) or CreateSpace (international orders). We’d love to hear what you have to say about the books, so please sound off in the Comments below! The 2006 Edition is 248 pages in length and covers select content from the 2006 issues. Through Amazon.com and CreateSpace, the current price is $38.95. To save $5.00 off the purchase price, head over to our CreateSpace storefront for this book and enter code Z3J5VKDG during the checkout process. The book is also available from Amazon.com if you would rather purchase through Amazon. However, the discount that we are offering doesn’t apply. The January through June Edition is 246 pages in length covering all the content available in those issues. This book is also available for $38.95 from our CreateSpace storefront. The book will also be available from Amazon.com in a week or two as we just approved the proof and it takes a bit of time to get added to Amazon’s website. In order to save $5.00 off the purchase price, head over to our CreateSpace storefront for this book and enter code 6PQZNKAR during the checkout process. Again, the discount code can only be applied through our CreateSpace storefront. Don’t forget to check out our PDF issues that we have for purchase as well. They are $0.99 per issue and are a great way to digitally archive our content and make it searchable from your computer. Each PDF issue contains all of the content from each month and is typically available two weeks after the respective issue publishes. We will be updating our PDF offerings to cover January through July 2010 in the coming weeks. Are you interested in writing articles about this great hobby of ours and get paid for it? Please consider writing for us! We offer very competitive publication rates and we are always interested in new and unique articles about reefkeeping as well as freshwater aquaria. If you have a subject that you’d like to write about, please contact our Editor, Terry Siegel, to request more information. Please look over our current articles as well as this will give you a feel for the sort of articles we are looking for. A fresh perspective on a subject is always beneficial to everyone.